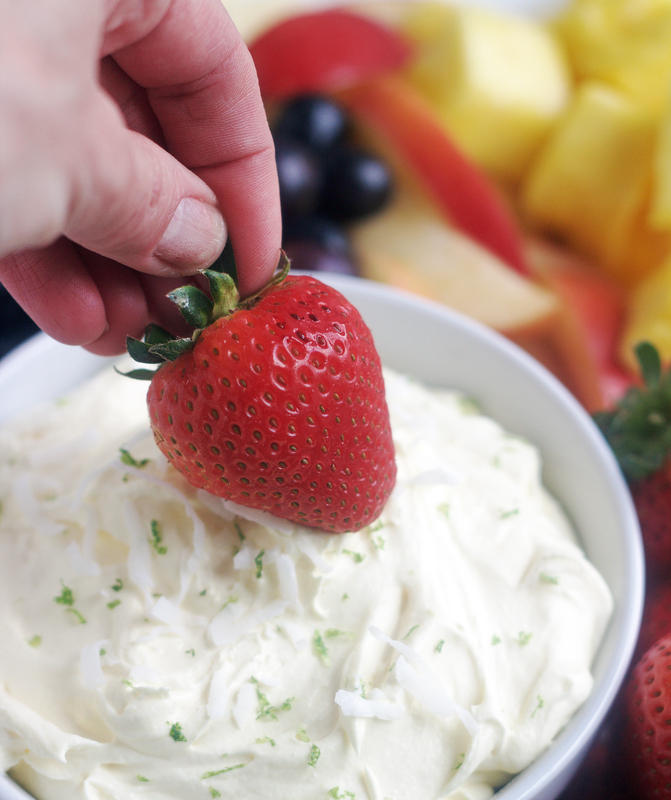 This 3-Ingredient Creamy Coconut Fruit Dip is spectacular! Definitely a must-make for summer parties and BBQs. Perfect for dipping fruit, cookies, pretzels. . . .it’s crazy good! Several weeks ago my sister told me about a fruit dip she’d had at a bridal shower. She raved about it so I of course told her I needed the recipe ASAP. I absolutely love coconut so I had no doubts about loving this dip. It’s so simple to make. Three ingredients is all . 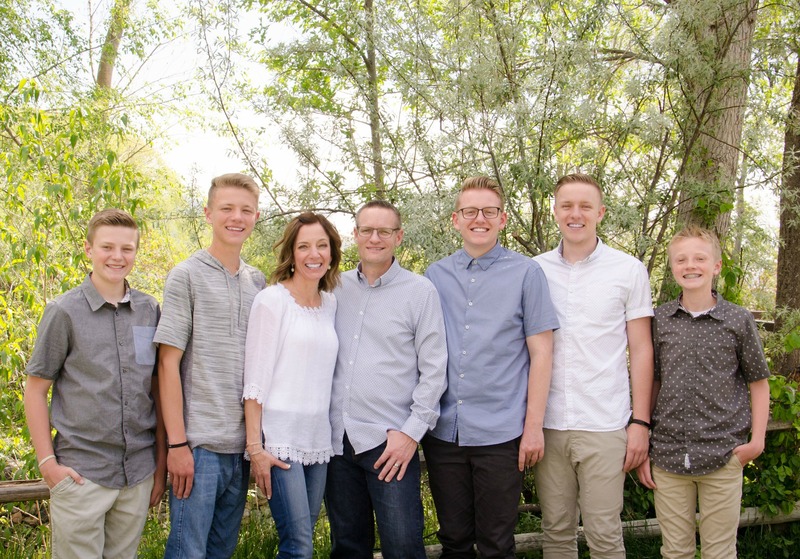 . . it really doesn’t get any easier. You guys, this is so light and refreshing. I literally could have eaten the entire bowl. Honestly any fruit is delicious to dip in this, but my absolute favorite thing to dip in it is fresh pineapple. . . . holy moly! It’s tastes like pina colada which I love, love, love. 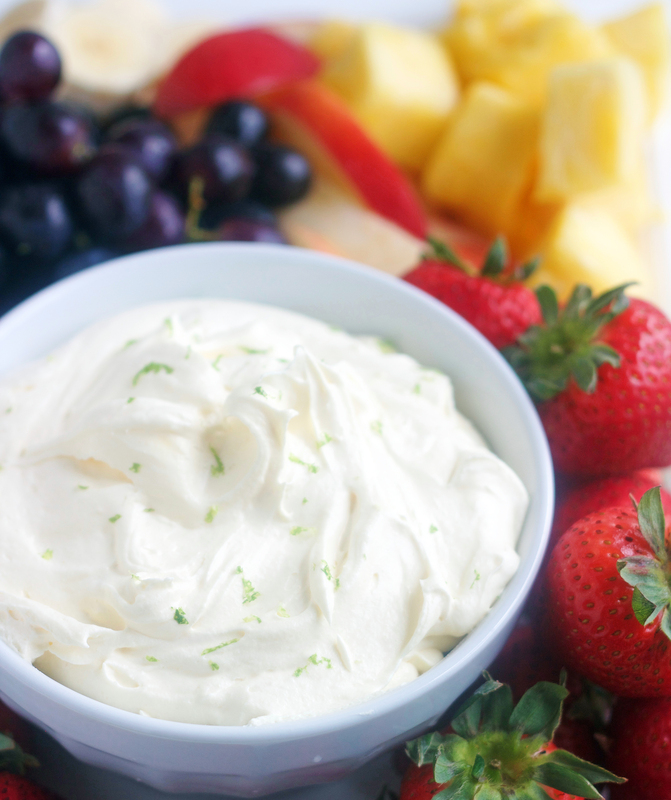 Even though it’s called fruit dip, trust me, you can dip pretty much dip anything you want in this . . . graham crackers, vanilla wafers, pretzels, etc. Honestly, I find myself sometimes just digging in with a spoon. No judging please. Make sure you use instant pudding and the the cook & serve kind. You want to use cream of coconut, not coconut milk or coconut cream. Cream of coconut can be found by in the beverage aisle in most grocery stores. It’s with the mixed drink stuff. I like to chill it for at least an hour, but if you only have about 30 minutes, that’s fine too. You can sprinkle a little lime or lemon zest on top along with some coconut if you’d like. IF YOU MAKE THIS RECIPE I’D LOVE TO HEAR WHAT YOU THINK! In a medium bowl, combine cream of coconut and dry pudding mix, stir until well combined. Fold in Cool Whip. Chill for about an hour before serving. Serve with fresh fruit, graham crackers, vanilla wafers, pretzels or anything you'd like. **If you don't want the coconut flavor to be as strong, you can use a 12 oz container of Cool Whip. Personally, I like to use the 8 oz and don't think the coconut flavor is too strong at all. You can always buy the 12 oz container and not use all of it to begin with and then taste it and adjust accordingly. Hello, do you cook the pudding before mixing or just mix pudding mix with other ingredients? Hey Lacy, just put the dry pudding mix in.